When it comes to choosing basement flooring, there’s good news. There are many kinds of flooring okay to install in a below-grade basement. Most professionally installed types of flooring should stand up to damp conditions and high humidity. Exceptions are solid hardwood flooring and laminate flooring made with a fiberboard core that hasn’t been treated for moisture resistance. Both types of flooring absorb moisture and will warp and buckle. That still leaves you a lot of basement flooring options, such as ceramic tile, engineered wood, rubber and laminate flooring made with a moisture-resistant plywood core. But basements can still be troublesome. A concrete basement slab is porous and prone to moisture and water vapor migrating up through the slab. While the flooring itself may be unaffected, you’ll need to make sure that you’re not creating a haven for mold and mildew to grow underneath your basement flooring. Here are a few good options to consider for your below-grade basement. Ceramic tile is the designer’s choice, with tons of colors and styles. It’s unaffected by moisture and goes directly onto concrete that’s smooth and free of cracks. Engineered vinyl flooring gives you the warmth and beauty of real wood with the stability and moisture resistance of laminate construction. Check to make sure the type you choose is rated for below-grade basements. 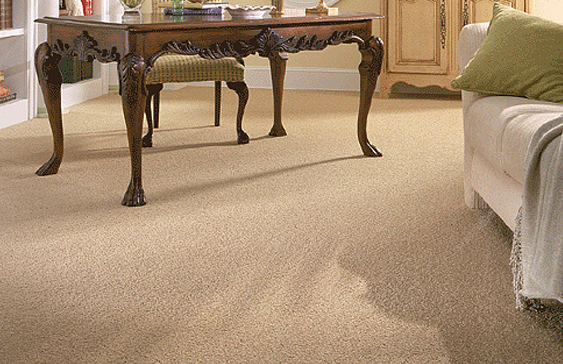 Carpet is generally the least expensive option so if budget is your top priority this may be a good option for you. Carpets are flexible, so they can work over all types of sub-floors. Carpets are also softer and warmer than hard surfaces and work well on steps. Rubber flooringor interlocking gym tiles are a great option is you want to create a gym in your basement, which has become more and more popular. Rubber floors are nicely cushioned and also a good choice for basement playrooms. Be sure to stop by our showroom and talk with one of our design specialists about your next basement flooring project. Backsplashes are an expanse of material that usually sits on bathroom or kitchen wall between the countertops and cabinet. Done well, today’s backsplash designs can be a beautiful accent for rooms in your home by completing the interiors of your space with interesting patterns, colors and designs. Ideally you will want to install a backsplash during your kitchen or bath counter installation. It is best to work with a professional for this type of project. What are common types of tiles to use for a backsplash? 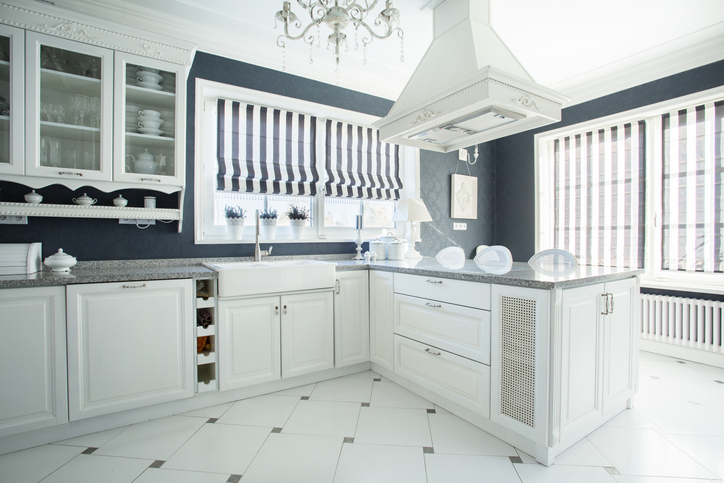 The most common tiles use for a backsplash are ceramic, porcelain, stone, marble and sometimes even glass. You should be mindful that not all tiles will cost the same. Tiles are priced by square foot and the cost can vary depending on the type of material. Shopping smart can give you the look you want at a price that’s comfortable for you. Here are a few types of tiles to consider for your backsplash project. The look of marble for less: To mimic the look of expensive marble go for a glazed porcelain tile, with high gloss coated over its surface for shine. Porcelain and ceramic tiles: These types of tiles have many options to make your kitchen traditional to contemporary. With endless designs and options – you’re sure to find a tile that makes your kitchen unique. Stainless steel and natural stone: This material offers a wealth of warmth to your kitchen space. Used together, these materials can create one of a kind looks. Mosaic tile: Mosaic tile packs in smaller patterns and seemingly offer more bang for your buck. Depending on the range of materials – this can be an easy way to turn your kitchen space into a work of art. Where is the best place to install a backsplash? 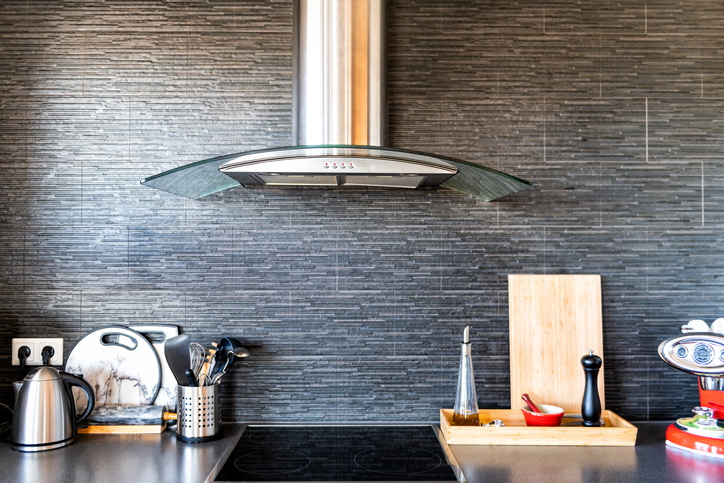 Most kitchen backsplashes will be on back walls surrounding sinks and stoves serving both an aesthetic appeal as well as a functioning component to protecting your walls from stains and damage. In the bath, a backsplash can be added behind toilets and sinks, surrounding showers and even as a functional design element enclosing a sunken tub. Recently there has been a trend to install a backsplash on a ceiling to define a shower alcove and prevent water damage. Working with the design professionals at Fred Callaghan Carpet & Flooring will keep your project moving smoothly and help you find your design style. Give us a call to make an appointment or stop by our Showroom to take a look at the many options available. Homeowners are sometimes hesitant to upgrade when it’s time to sell. After all, you won’t be living there much longer, and home remodeling efforts only increase home values by 57% of the average project’s costs, according to Remodeling magazine’s 2018 Cost vs. Value report. But think again, sellers. The cost of inaction can be far greater than the small loss you’ll incur on any home-improvement projects. Making small upgrades over time can serves a actually really help a seller. You don’t don’t to break-the-bank alterations, either. A simple update to your color palette can go a long way. Getting stuck in time with your home isn’t a smart move and is rarely rewarded financially when you finally sell your home. In fact, not keeping up with current trends may cause your house to linger on the market longer. As a result, you’ll likely have to pay ongoing mortgage, maintenance and staging costs. 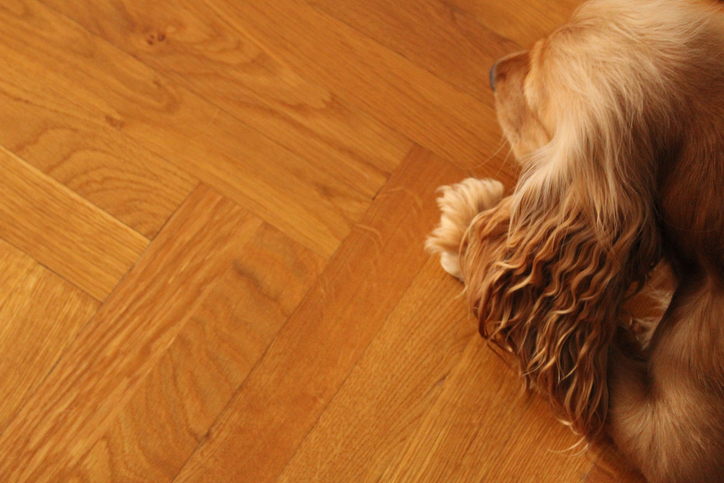 Hardwood flooring: It’s what buyers want. According to HGTV, the top request of homebuyers and renters when looking for a home is hardwood floors. In fact, a study of homebuyer preferences by USA Today using data from the National Association of Realtors found that 54% of homebuyers were willing to pay more for a home with hardwood floors. Installing hardwood floors can cost between $9 and $12 per square foot, compared with about $3 to $5 per square foot for carpet — so some homeowners opt to install hardwood floors only in some rooms rather than throughout their home. However, carpet typically needs to be replaced if it becomes stained or worn out. Good quality carpet can last about 10 to 15 years, while hardwood floors can last forever. The return on investment for installing hardwood floors will vary according to your market and other factors, but hardwood flooring can often help your home sell faster. According to Kiplinger.com 87% of buyers want this feature. Hardwood flooring offers a cleaner look, is easier to maintain and is more durable than carpet, which needs to be replaced every eight to 10 years. Hardwood can be refinished periodically and lasts a lifetime. Sellers on a budget may want to buy engineered wood flooring (which is a hardwood veneer wrapped around several layers of plywood, fiberboard and hardwood). The cost to install 120 square feet of engineered wood flooring is $1,239 — about 15% cheaper than pure hardwood flooring. Be sure to stop by our newly expanded Showroom and a take a look at our latest selection of hardwood flooring. Since 1928, Karastan carpets have been know for their artistry, innovation and craftsmanship. They offer a selection of sophisticated carpet styles that work equally well with both traditional and contemporary décor for today’s homes and offices. Keeping your carpet looking it’s best requires a few simple steps that will help protect your investment for many years. No matter what method of cleaning you use, there is one universal recommendation: clean your carpet before it becomes too unsightly. And take immediate action on spills. Natural wool fiber sheds liquid spills, so quick action provides the chance of preventing a stain. Fluffy detergent foam is worked into pile by a variety of machines. Once dry, the residue is vacuumed out. This method uses little water, dries fast, and cleans the surface well. Limitation: Over-brushing can damage some carpets. Extraction of the cleaning solution and soil leaves little residue and no pile damage. Recommended for all carpet types, this method is most effective when performed by a professional using an external hot water extraction unit. Limitations: Avoid using too much detergent. Follow up with plain water, but caution is required to prevent over-wetting. Carpet grooming should be incorporated with all professional cleanings. A professional pile lifter vacuum may be effective in restoring matted or ridged carpeting. Absorbent particles are worked into the pile with a machine and removed by vacuum. This method uses no water, little skill is required, and the carpet is ready for use immediately. This is a professional or do-it-yourself method. Limitations: It can be difficult to remove all cleaning residue from deep pile. This method also is not that effective for heavily soiled or matted areas. The rotary brush wet shampoo method is not recommended for residential carpet as damage may result. Moreover, some do-it-yourself products in aerosol cans may cause rapid re-soiling due to excessive residues. Test on a scrap of carpet first. If the dried product feels sticky, don’t use it. Also avoid all cleaning agents containing an optical brightener (fluorescence) such as those found in many laundry detergents and some carpet cleaning systems. Be sure to visit our new showroom at Fred Callaghan Carpet & Flooring and find the Karastan style that works right for you! 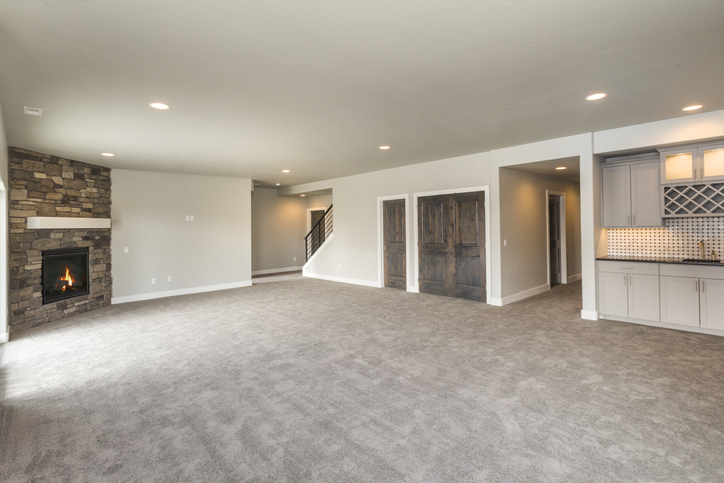 What Are Good Flooring Options for Your Basement? What Is Backsplash Tile & Where Should You Put It? How To Care For Your Karastan Carpet?